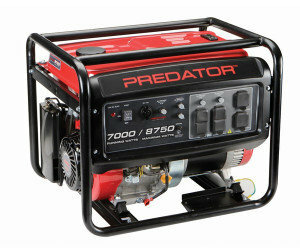 The Predator 8750 watt genertor can power up to 3 blowers or a 2 blower unit and 2 concession machines. It comes with a full tank of gas. We guarantee 5 full hours of use.